Review: Robin Dean Salmon "Come On Home"
Robin Dean Salmon's forceful new rocking country project titled "Come On Home" provides a window into the soul of a musical journeyman who was born in Durban, South Africa and somehow found his way to his rightful home in the country capital of the world, Nashville, Tennessee. 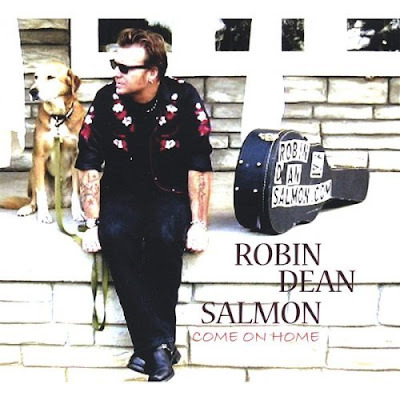 "Come On Home" shows that Robin Dean Salmon has found a signature sound that works. Robin Dean Salmon has had the kind of life that begs for an autobiography. He survived turmoil in South Africa, trained in karate with Japanese dock workers, helped in his family's safari expedition company and settled in San Antonio on a large horn cattle ranch. The surprise is that these experiences are just the beginning of the complex life of Robin Dean Salmon. But music was always a constant thread in his life, and Robin Dean Salmon's years of practice have paid off with "Come On Home."